The troublesome goals and seemingly equal race times, however, were much more irritating. Hence, sports technology became widely accepted soon after its first appearance. For betting enthusiasts, in particular, it managed to provide indisputable results, without giving them the opportunity to blame it on the betting services, such as NJ Casinos and many more. In sport, there is a generally accepted rule that the umpire is to blame whenever your favorite team is losing. But, what do you do when there are two? And how about a third, extra umpire? 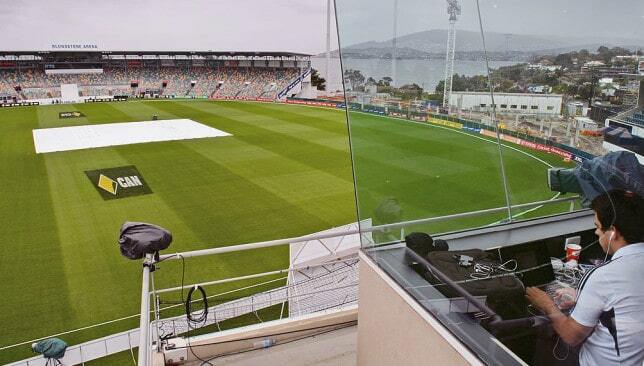 In cricket, and shortly after in several other sports, there has been an umpire structuring. Two of them are present on the field, actively following the game, each from their own unique viewpoint. When it comes to adjudicating a certain move, these two communicate with each other via a wireless connection. A third, off-court umpire is also used for fuzzier verdicts. This umpire also uses a video replay system which has gained usage in many other crucial sports moments. Since its invention, it has spread to soccer, basketball and many other sports. Cricket decision review system (DRS) image via Sport360. The Olympic Games hold a high status in the world of sports. Therefore, they need to provide a sound judgment at all times. At first, organizers used simpler techniques, such as photography. The specific name was chronophotography, as the camera managed to photograph several frames of a single movement and arrange them for a better analysis. As for the timing systems, the Olympics’ organization has implemented several techniques. Many disciplines require precise timing, and this need urged further development. At first, stopwatches were used, but their accuracy was limited to 0.2 of a second. A more advanced timing system measured accuracy to the hundredth of a second, and it started with pistol fire. Plus, each contestant had their own personal official which timed a specific runner. As for a photographic finish, the Olympics had to wait another decade, when the Kirby camera was able to produce photos with the exact timing when they were taken. This is a more recent, and thus more advanced technological innovation which has aided the world of sports. The hawk-eye technology consists of a computer and camera as a single system which can trace the trajectory of any ball. Its first use was noted in tennis and cricket, although it rapidly expanded to other sports. Nowadays, football is also implementing this technique, as UK’s Premier League has authorized it. Furthermore, rugby is another sport which found use for it. And it’s no wonder why. The camera can take up to 600 frames per second, analyze them and report to the umpire via a wireless connection. 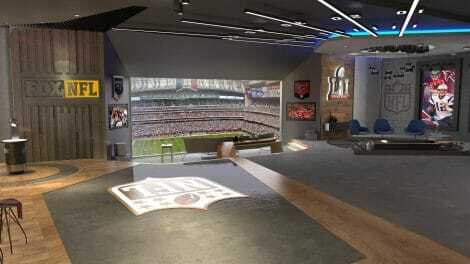 The Super Bowl LI Virtual Suite experience uses six cameras viewable on the Fox Sports VR app. Sports Techie, these advances have even prompted the appearance of entire educational programs on sports technology. Sports Tech is rapidly changing the world of sport on a daily basis. 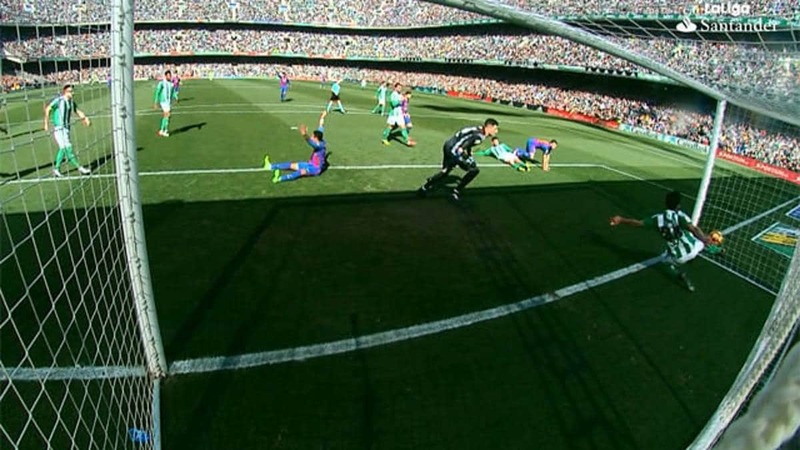 The recent goal line technology controversy last week in the La Liga match between FC Barcelona and Real Betis has fueled calls from teams, players and fans to implement the glt experience yesterday. Take a look at the video clip and the still shot below to see how blatant the missed call was by the three officials on the pitch. GLT is currently in place with UEFA, the World Cup, Premier League, Bundesliga and Ligue 1. FIFA will need to approve the GLT system for La Liga next season. During the EFL Cup semifinal match played by Liverpool FC and Southampton, the process resulted in a correct decision that the ball did not cross the goal line therefore was not a score. It was a seamless operation and the correct call was ultimately made. Waiting for the new video assistant referee system (VAR) by FIFA because it will cost La Liga 4 million Euros to adopt GLT is foolish. The old guard claiming this sports tech solution is too expensive is laughable considering the amount of money one superstar transfer costs a single team would more than cover the entire league roll out. The NFL is still without cameras on the goal lines from above and from the side as well as sideline cams at every stadium. The new Chairmen Committee consisting of Kansas City Chiefs’ Clark Hunt, the New York Giants’ John Mara, the New England Patriots’ Robert Kraft, the Houston Texans’ Robert McNair and the Pittsburgh Steelers’ Art Rooney II, have simply not made it so. What about using lasers for first downs and touchdowns in addition to mounting a laser on each goal post upright to ensure field goals and extra points actually go through the uprights imaginary line. The final point in the recent Australian Open men’s final between Roger Federer and Rafael Nadal went to a Hawkeye challenge because it was too close for the human eye to see the ball and court lines in real-time and be 100 percent sure of the call. No messy controversy happened as a result of the instant replay process and the historical tennis match ended peacefully. Super Bowl LI is just a few days away and the Big Game on Sunday between the Atlanta Falcons and New England Patriots in Houston promises to be one for the ages as perhaps the best NFL offense of all-time faces off with the defensive mastermind in Head Coach Brian Belichick. Can sure Hall of Famer Tom Brady outgun Matt Ryan, Julio Jones and Devante Freeman over four quarters and will the Falcons defense put pressure on the game’s greatest quarterback? Will the Pats be able to slow down Julio and take away the favorite option for Matty Ice, the probable league MVP for 2017? Will there be SB LI controversy that some kind of sports tech not in place would alleviate? The last thing this game needs is an instant replay controversy but expect the unexpected. One fact to note is NFL SVP of Officiating will not have has access to the six virtual reality cameras placed around NRG Stadium. For the first time in Super Bowl history, virtual reality is being used because Fox Sports and LiveLike are teaming up to provide Virtual Suite coverage on the Fox Sports VR app. It would be a good decision to allow Blandino and NFL Football Operations to use Virtual Suite cameras on all centralized replays in New York City but I am betting all in this is a no go. Let’s just hope SB 51 does not make sports tech history for the wrong reasons.